TurningPoint Management partners with businesses and organizations across Southern Minnesota to deliver high-impact results by solving the tactical problems of today and capitalizing on the strategic opportunities of tomorrow. 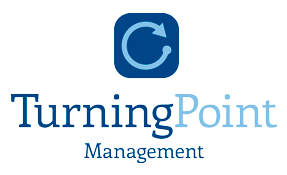 TurningPoint Management is a group of experienced business leaders who have faced the issues that many organizations face. Our consultants have worked in multi-national organizations, publicly and privately held companies, in service industries as well as in manufacturing and employee-owned businesses and non-profits. We have a deep understanding of the issues many organizations face, whether a business is looking to grow, looking for financing, or has a challenge that just isn’t going away, we have a host of skills to add to your arsenal.